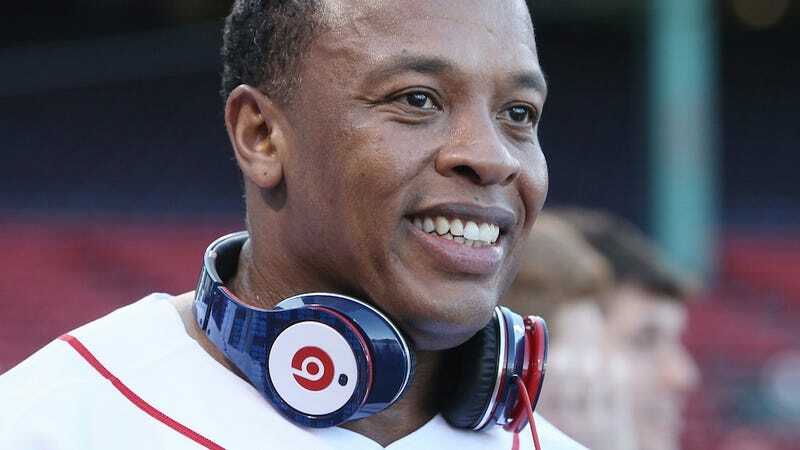 What's occasional rapper Dr. Dre up to, besides rapping, sometimes? Planning to beat every single electronics company except Apple, GlobalGrind reports. Oh nah, I am not nervous about anything! I am trying to be number 2 to Apple, and number 2 to Apple is not a bad position to be in. He's completely right! About being number 2 to Apple being a great position. But about Beats Electronics reaching that point? Forget about it, Dre. The firm made $300 million by selling the goods to HTC—Apple's worth well over $200 billion. To say nothing of the fact that it invents and sells a huge range of historically innovative products beyond headphones and branded laptop speakers.